Chloe Kim poses with her gold medal during the medal ceremony for the ladies snowboard halfpipe at the PyeongChang Olympics on Feb. 13, 2018. 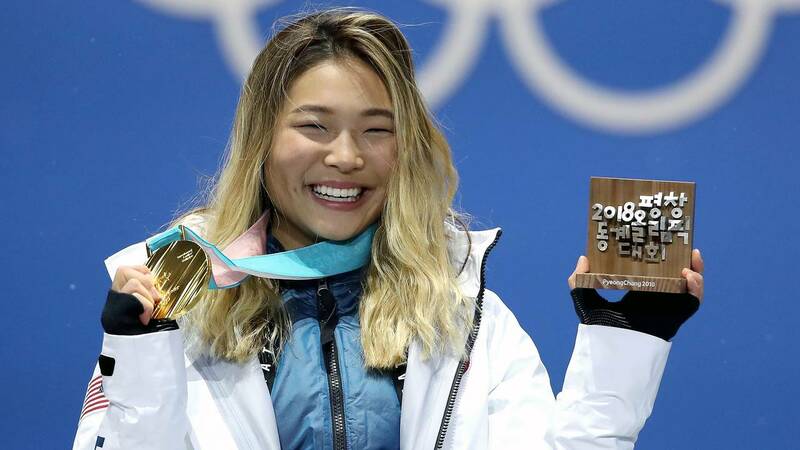 NEW YORK (CNNMoney) - At 17, snowboarder Chloe Kim has already won an Olympic gold medal and made history by being the first woman to land back-to-back 1080 degree spins at the Games. Ahead of the Games, Kim also started working with brands like Nabsico, Visa, Toyota, and Samsung. Advertisers seem to love her life story -- her parents are immigrants from South Korea, and her dad pretty much quit his job to help her train. The companies have featured her in several emotionally charged, biographical commercials.